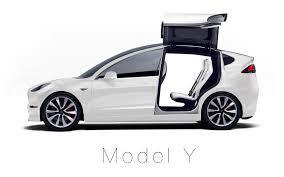 Model Y, Tesla’s car of the future. November 26, 2017—-When I happen upon a Tesla owner charging their car at a charging station, as I did recently in Trinidad, Colorado, I usually linger long enough to ask the owner his opinion of the Tesla. The responses are always similar, “Best car I ever owned,” or “Most fun car I ever had.” The people who own the Teslas are the best advertisement for these all electric vehicles. Some of the reviews I have read on line are mixed, but testaments “straight from the owner’s mouth,” have been strongly positive! The Tesla Model S was introduced in 2012. Several revisions in 2017 have improved the driving range per charge to between 270-335 miles. The 40-amp charger of earlier models was replaced in 2017 with a 48-amp charger, which enables a quicker charge and about 30 miles drivable time per hour of charge. What’s New for Tesla in 2018? *The Model S 100D has a range of 335 miles with the ability to hit 60mph in 2.5 seconds (if you’re into speed). The Model 3, with a base price of about $35,000, reportedly is, “Adopting a controversial plan to forgo prototype tooling (a test model design) in an effort to accelerate the launch of the Model 3.” Test drivers, journalists and financial analysts were given hands on demonstrations of the car and loved it! Though Tesla has struggled getting the Model 3 available to the public, it promises to be available soon. Tesla’s target of producing 5,000 Model S’s by the end of December has been pushed to March of 2018. All electric semi will change the way cargo is hauled across country. In the meantime, Musk has unveiled his electric semi-truck and Roadster sports car this week, and may unveil an SUV, Model Y soon. Tesla will be the first user of their semi-trucks, hauling cargo between its California factory to one in Nevada. “Tesla will be the first customer for the semi. We will use our own truck to carry cargo in the U.S. between our different facilities. We have an assembly facility in California, the Gigafactory in Nevada, so we will use our trucks to carry things in-between.” This electric semi has a range of 500 miles on one charge, which is approximately the round-trip mileage of 80% of the trucking market. The price of the electric semi would compete with the sale of regular gas semis. The Model Y (Unofficial name) will be a small SUV, which was going to be built on the Model 3 platform but is now back to the original plan in building it separate in order to bring it to market sooner. It will be a more automated production line, bringing it to market faster, as SUV’s are one of the fastest growing vehicles. So, Elon Musk is still at the forefront as a founding father of the rapidly changing electric auto industry, with the other car manufacturers scurrying to keep pace with his Tesla company! 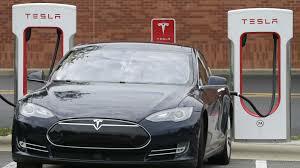 Tesla has confronted many obstacles, but still moves ahead to combat our warming climate. Categories: Building Green, Renewable Resources, Sustainable Education | Tags: #climatechange, #renewableenergy, #Tesla, Elon Musk, Renewable Resources | Permalink.